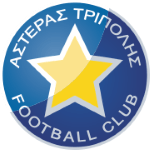 The club of Anastasios Douvikas, Asteras Tripolis, presently holds twelfth position in Super League (Greece) and first position in group Gr. 6 of Greece Cup (Greece). The 19-year-old Anastasios Douvikas was born on August 2, 1999 and is therefore five years younger than his team's average age. Standing 1.84 meter high, he is larger, when looking at the average height in his team. In July 2017, Greek, Modern (1453-) forward Anastasios Douvikas joined Asteras Tripolis (Greece), whom he is still playing for. He was used in 20 of the matches in the present term. This season he scored one and assisted no goals which is 14.3% of all of Asteras Tripolis's goals in Greece Cup 18/19 (Greece). On average, he hit the net 0.05 times per match this season which is a worse performance than last year's. Back then 0.15 goals and 0 assists per match have been achieved. Besides Anastasios Douvikas, there are nine more forwards in Asteras Tripolis's lot: Kosmas Tsilianidis, Giannis Bastianos, Nikos Kaltsas, Alexandros Tereziou, Christos Albanis, Marc Fernandez Gracia, Michalis Manias, Christos Aravidis and Giannis Kotsiras. Throughout his professional career, he participated in 40 games, the last appearance being eleven days ago. He wears the number 28 strip at Asteras Tripolis. Anastasios Douvikas's longest stay in a team counts one year and 10 months in his current club. He played for Greece before ending up in Asteras Tripolis. Super League 17/18 (Greece) has been his best season so far since he reached both his personal highest amount of goals and played matches. On the other hand, his worst season was Super League 18/19 due to him receiving his most yellow cards and scoring less goals than ever. Altogether, Anastasios Douvikas was substituted in 36 and out 4 times. Currently, he entered the pit more than he left it which holds true for last season as well. At 171.96lb, he carries 7lb more than the average Asteras Tripolis player. Merely twice a card was given to him in his tenure. As for winning percentages, Anastasios Douvikas won with Asteras Tripolis just 20% of their home matches (20% in total) in Super League and 100% of their home matches (100% in total) in Greece Cup. Asteras Tripolis enjoys a 3-game winning streak during the last 3 games of the current season. His shortest spell with a club currently counts 22 months in his latest side.